stitching and you will see the 'male' side has a much more open, hand stitch. No I was not able to find more snakes or information about those snakebucklebelt except on this great forum. Still wondering where it's origins come from. 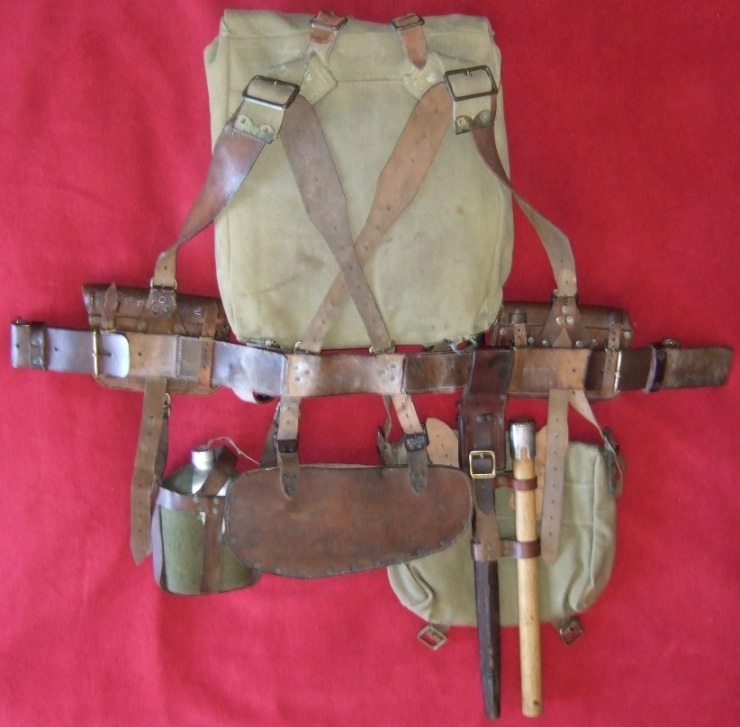 Here's what the complete Pattern 1914 leather equipment looks like assembled. Sorry I don't have a better picture - this set is currently disassembled and packed away in a box. Thank you for showing the '14 Pattern equipment with the snake buckle. By the way, I have several water bottles in my collection but never saw a waterbottle like yours. Is this a regular standard waterbottle? The bottle is not an official pattern. Bottles of this type were purchased in quantity by the British authorities from Canada to make up shortfalls in the production of the standard pattern. They were made by the Aluminium Goods Company and the few I have seen are dated 1914 or 1915 under the felt. This one is 1914. They are often seen in photographs, particularly during the first half of the war. Well that explains the not official pattern waterbottle. Thank you for explanation. 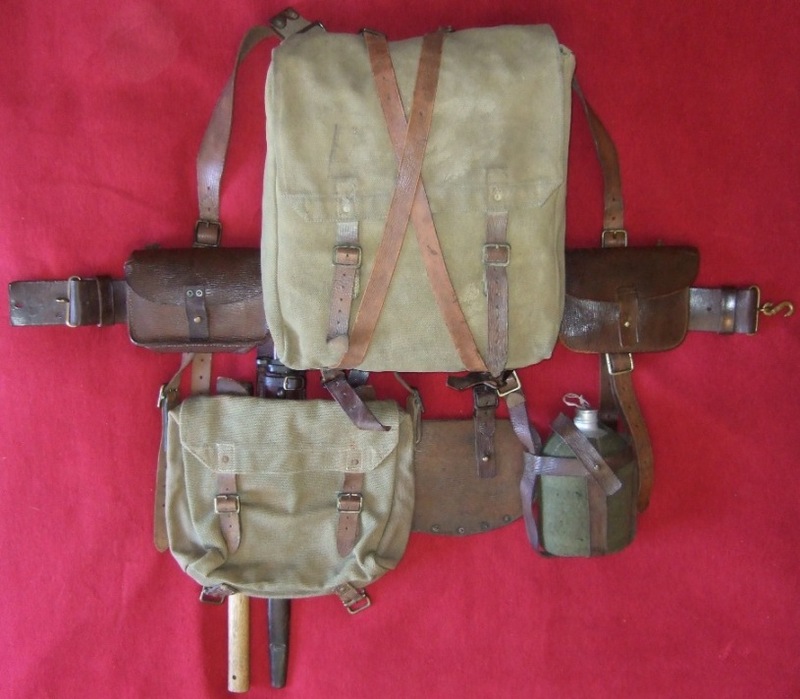 The uk police used these black snake belts in 1920's, 30's and 40's they had the silver snakes on their belts. 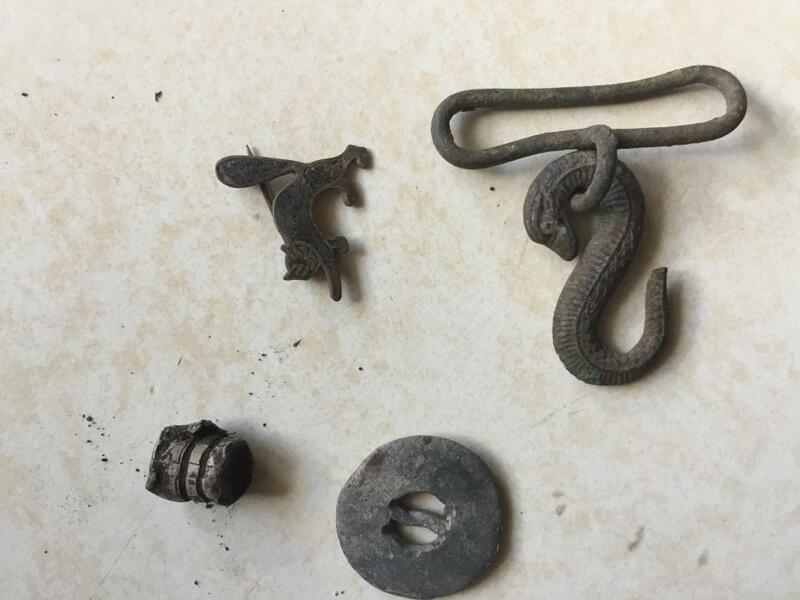 Found this snake buckle metal detecting in Canada, Manitoba. Anyone tell me the approximate date on this?